Looking out over Athens from the Acropolis. Most people who head to Greece go straight to one of the country’s many islands. And I can’t help but feel that these people are missing a trick. I wasn’t as much of a fan of Corfu as I thought I would be. I’m not the only one – there are many reasons why Mykonos is overrated as well. We’ll just pick on those two islands for now. Yet, it pains me now to admit that I’d never wanted to go to Athens. No, that’s not true – It’s not that I hadn’t wanted to. I wasn’t actively against it. More that it had never crossed my mind to travel to the Greek capital. I was drawn to the beauty of the islands and my thought process generally hadn’t progressed beyond that. Amazing weather, in the middle of Autumn. In any case, I digress. 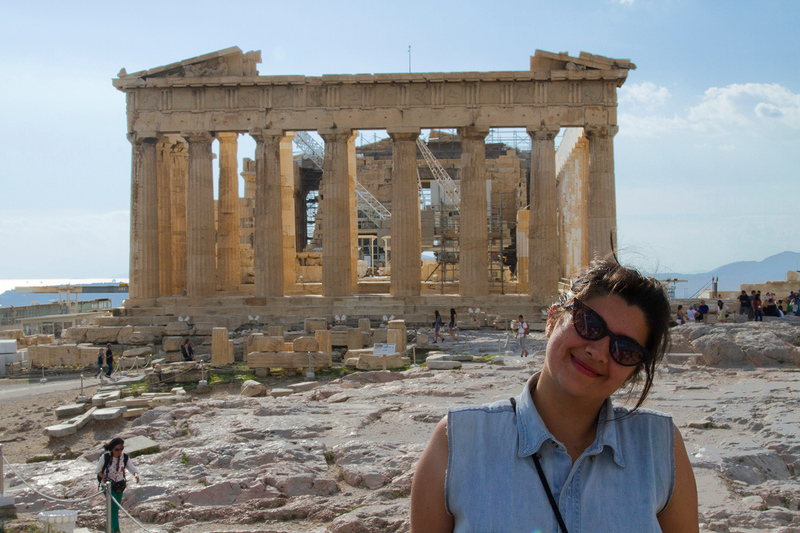 Let’s get back to the part where I convince you to add Athens to your Greek itinerary. 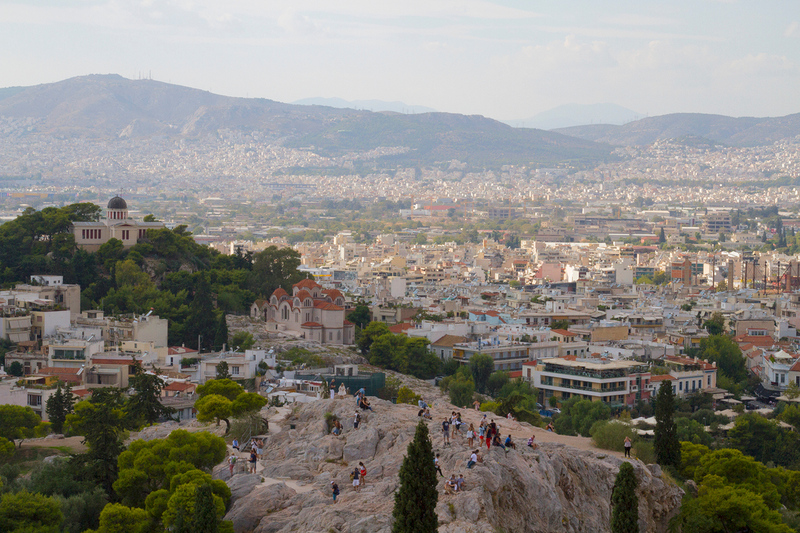 And if you do find yourself nodding along by the end of this article, here’s an Athens travel guide for you to check out. I’m the first to admit I’m a dreadful snob when it comes to beaches and I’m sure any other Australian would feel the same way. I remain convinced that my country has the most beautiful beaches in the world and I won’t believe anything otherwise until I see solid evidence for myself. It’s like saying that other countries do Fjord’s better than Norway, the Middle East has sucky deserts and Switzerland is the ugliest place in the world. It just ain’t gonna fly. Whoever said Athens didn’t have nice beaches is a darn liar. I had peer-pressured my poor boyfriend into coming to Corfu with me because I was utterly gagging for some beach time. However, the weather conspired against us, when our allocated “beach day” came over cloudy, cold and grey. I was rather despondent when we flew to Athens… only to then be rewarded with days of brilliant sunshine and 27 degree weather. Upon arrival, we immediately caught the tram, riding it in and out of the city until we arrived at a stop by the sea. And there was indeed a beach. A beach covered in cigarettes, crawling with vendors trying to sell their wears and mildly polluted waters… but still swimmable. All was tolerable apart from the vendors. The worst was one bloke who was trying to sell peanuts. He lingered in front of me for awhile, from a distance – I was reading and ignored him. He then STOOD IN MY SUN for a good couple of minutes, before coming to shove his bags of peanuts in my face. It took three or four ‘no!’s’ to get rid of him. I do not like peanuts. They hurt people I love. The next day we stayed on the tram for a few more stops and found ourselves a sandy beach that was somewhat empty, lacked cigarette butts and had water in which we could see our toes. Score! Athens is the capital city of Greece and therefore isn’t so much interested in catering solely for tourists. It feels like a city for the Greek people, in contrast to the island of Corfu. It doesn’t feel like there’s any season such as “tourist season” so I imagine you could easily visit Athens anytime of the year and not be in want of things to do. I don’t eat tomato (crazy, I KNOW!) or beef (just doing my bit for the old environment), so I was a bit challenged by the food in Corfu, to say the least. Fortunately, I’m not at all opposed to eating my body weight in bread and cheese. Let’s just say I survived… and then some. Who knows what our problem was, but we struggled to find a decent meal in Corfu. I believe the worst point was walking along the main street of Ipsos and seeing restaurant after restaurant that catered purely for English tourists. Where’s the novelty of indulging in some English Breakfast if you’re not in England? I was so relieved to get to Athens and finally get into some good eats. We enjoyed the food scene so much that we pooled our Euros together to splash out on a gourmet meal at a really lovely restaurant. I’m also going to take this moment to say if you came here looking for pointers on budget backpacking, you’re definitely looking at the wrong website. 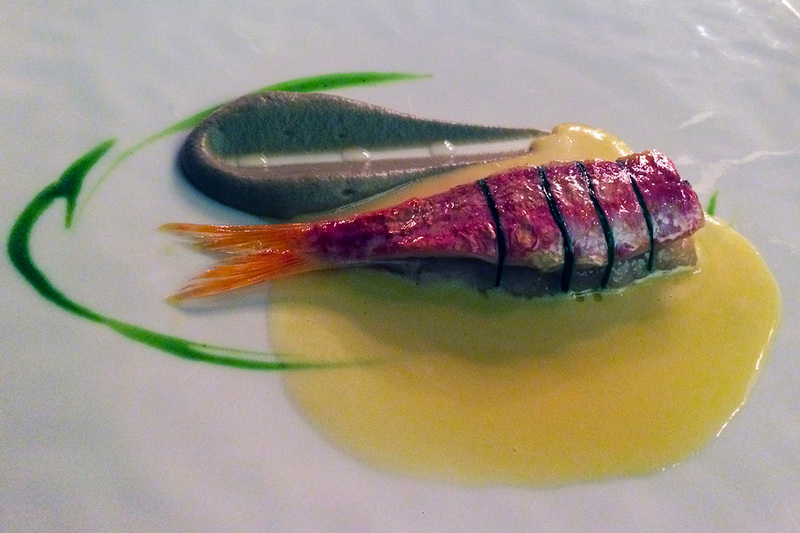 Maybe (probably) we just didn’t look hard enough in Corfu, but Athens certainly trumped it as far as decent eating went. 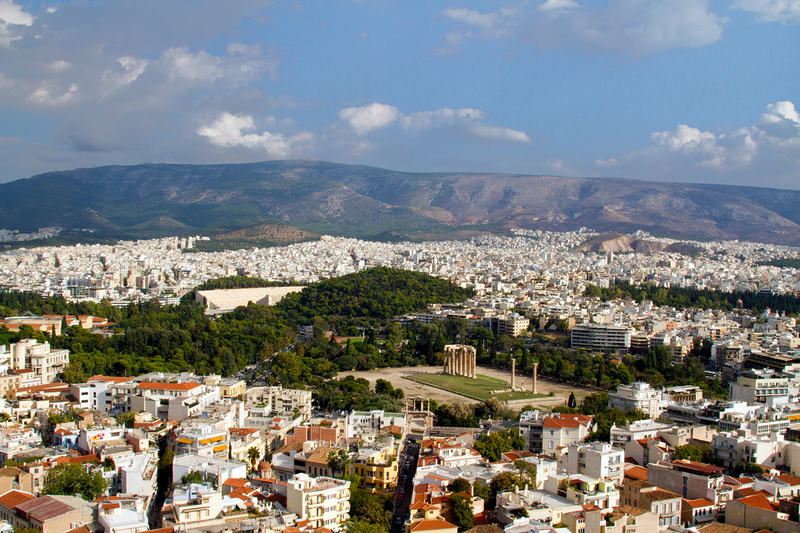 Opinions I’d initially heard of the city of Athens itself ranged from “dirty and smelly” to “dangerous”. Okay, it did smell a bit in places, but it’s an old city. London too has its moments where it smells utterly repugnant. 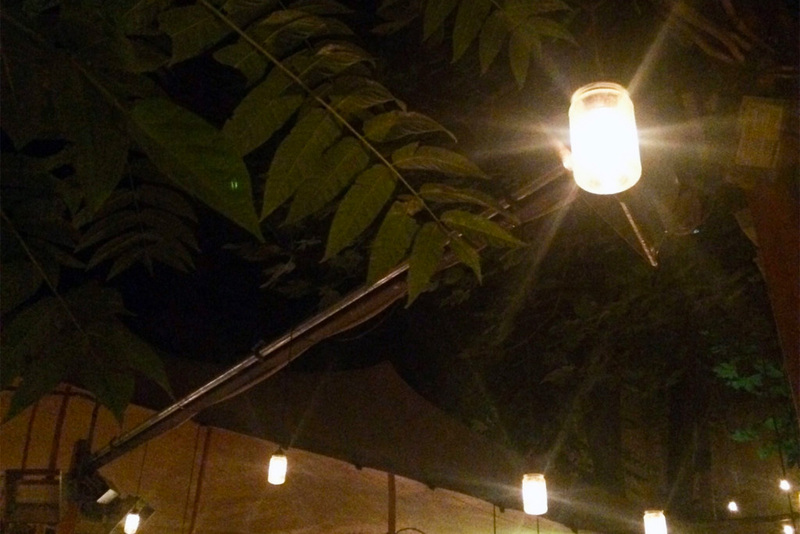 Like a moth to flame, I am lured into bars that get a bit creative with their outdoor fairy lights. I never felt unsafe walking the streets (although crossing the roads was a bit scary at times!) From what I could see, Athens was mostly grungy and a bit hip. All the best cities are, in my humble opinion! Plus there are some pretty neat bars to explore – like Six d.o.g.s in the Psirri district. I can’t quite comprehend the extent of human history in places like Italy and Greece. It just goes back too far for my puny little Australian brain to process. Walking the streets of these country’s cities and taking in monuments which have held fast during wars and stood fierce against erosion from the elements for hundreds of years… it’s a little hard to comprehend. 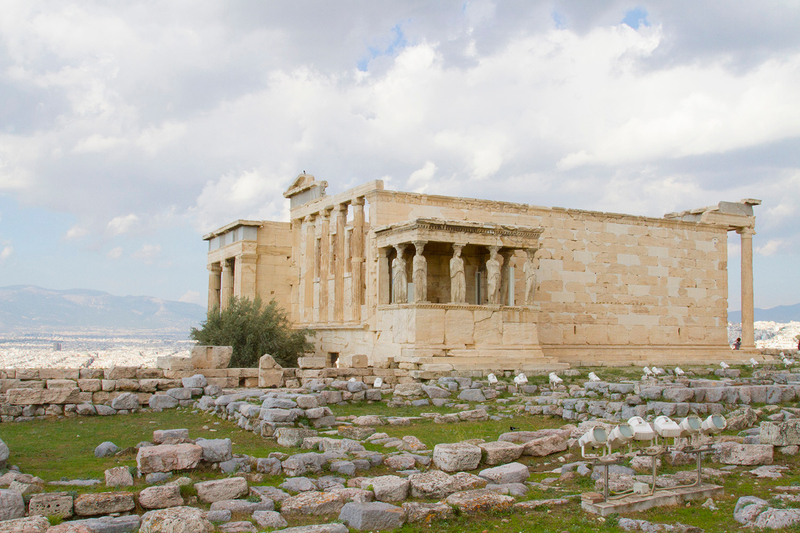 The Erechtheion was the only structure not covered in scaffolding. I was pretty damn excited to step foot onto the Acropolis, which was ruined somewhat by the fact that it was covered in scaffolding. (As everything in Europe seems to be at the moment – I wish they could time these things a little better!) This did take away from the experience somewhat – it’s hard to imagine the Parthenon in its former glory when there’s a giant crane parked in the middle of it. That being said, restoration is obviously required to keep these buildings intact for future generations. They were a magnificent sight to behold, regardless. Thank goodness they weren’t wearing their flags. I love a no fuss public transport system. We didn’t catch any buses, but the trams were easy enough to navigate and the train took us straight to the airport – for a reasonable price to boot. You hear that, London? So in conclusion, don’t dismiss Athens as a holiday destination. It’s got a lot more going for it than you’d originally think. Have you been to Athens? What was your opinion? Hit or miss? Ahhhhh I’ve never wanted to go either! Both times I’ve been to Greece, I’ve gone straight for the islands and didn’t even consider a day stopover in the capital. 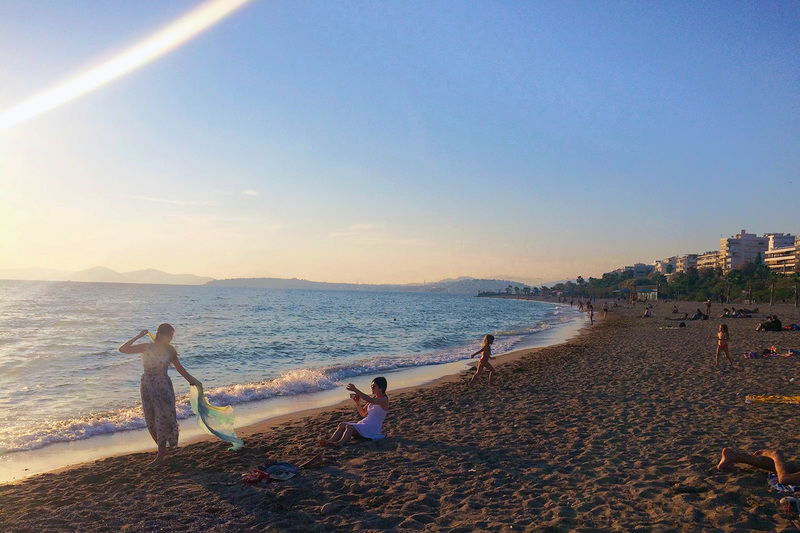 I think the beauty of Athens is that it’s a city for all seasons – I can see why the islands would be preferable in the height of the summer season, but I was far more charmed by Athens as a whole. You should definitely spend some time there the next time you go to Greece, Kristin! I hear you, I budget for food too. I went over a year ago, so hopefully the work on the Acropolis is now complete! I really want to go to Athens and I have some greek family so I really have no excuse! Just never been the right time. Didn’t realise they had beaches there, not sure why that surprises me lol. I have been for Corfu though…not somewhere I would want to go back. I went there as a boozy British teenager and I’m guessing the demographic hasn’t changed that much! I guess it’s not really renowned for its beaches! I know what you mean about Corfu… I really liked the Old Town but it felt a bit too “British Booze Destination” for my liking. I was LIVING in England at the time – if I want a full English, I’ll have it at home – you get me, blood? I’m not sure if not having an on-off season is a good thing. So does it mean that there are many tourists all year round? At least that’s how I interpret it. If that is the case I know it’s good for the economy but not on the sites itself, unless of course the Greeks are good at maintaining the cleanliness and orderliness of the place. I like calling myself a reluctant hipster (because I don’t think I should be called one but I do love many things that are hispter) so I am definitely going to dig the hipster vibe you call in Athens. I’m always on the lookout for non-touristy things whenever I travel, just to experience things diffrently. 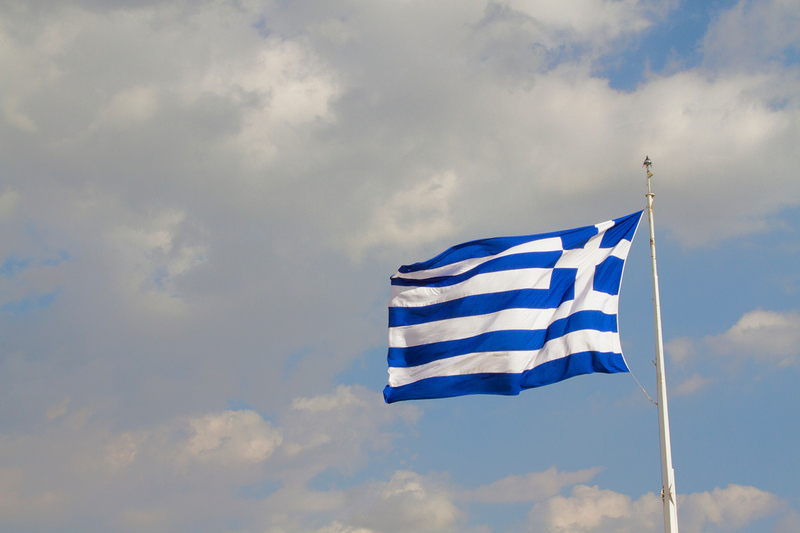 I hope to have an opportunity to visit Greece in the near future. Hey Marge – that’s not exactly what I meant! There are some places in Europe which get inundated with tourists in the summer seasons (and sometimes winter too) but are less populated in the shoulder seasons of autumn/spring, mostly due to the weather. 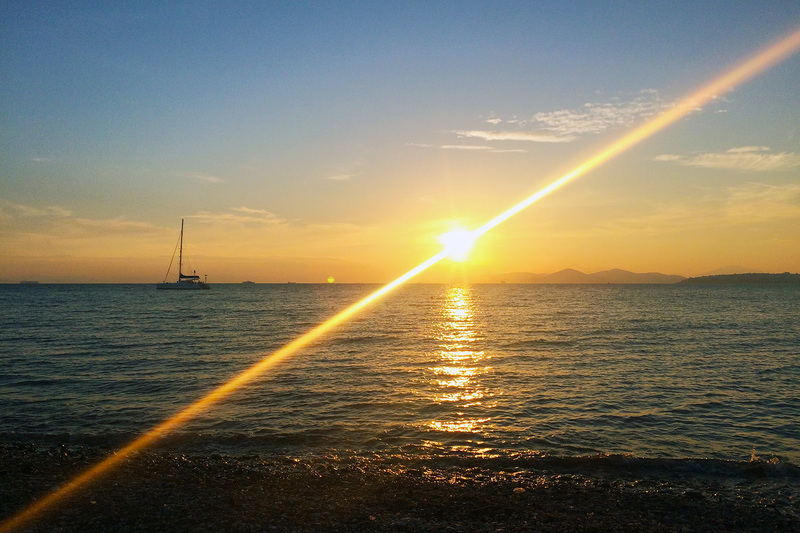 What I meant, is that Greece seems ideal for visits all year round – I wouldn’t hesitate going there out of peak season, as the temperatures were so nice that I still had a jolly good time! I found Greeks to be very friendly. I know what you mean about exchange rates. I went before the pound took a plummet. I didn’t find Greece to be too expensive, compared to other places in Western Europe, at least. Greece has been in my bucketlist since I realized I want to travel the world. And though I think I won’t be able to visit this place this 2017, good thing you still reminded me that Athens is still a must-see. I love your photo of the sunset. I mean, I have seen a lot of amazing sunsets here in my country (the Philippines) but I guess sunsets in different places can offer you unique and a different feeling I love to experience that kind of feeling in Athens! Plus the sea too! I love sunsets all around the world! Athens is a special place. I hope you make it to Greece one day. I LOVE this post! Athens certainly is a very underrated city. Like you, my travel buddy never really wanted to visit Athens, either – but me being me dragged him along. It surprised him so much said to me after “wow, I thought Athens was going be a ghetto”. Jeez lol. We stayed in 2 different neighbourhoods during our visit, each completely different. One was pretty crappy and towards the edge of the city but Plaka (under the Acropolis) was magical! I’ve spoken to people who chose to stay in the wrong kind of neighbourhood in Athens and it tarnised their view on the entire city, which is a darn shame. 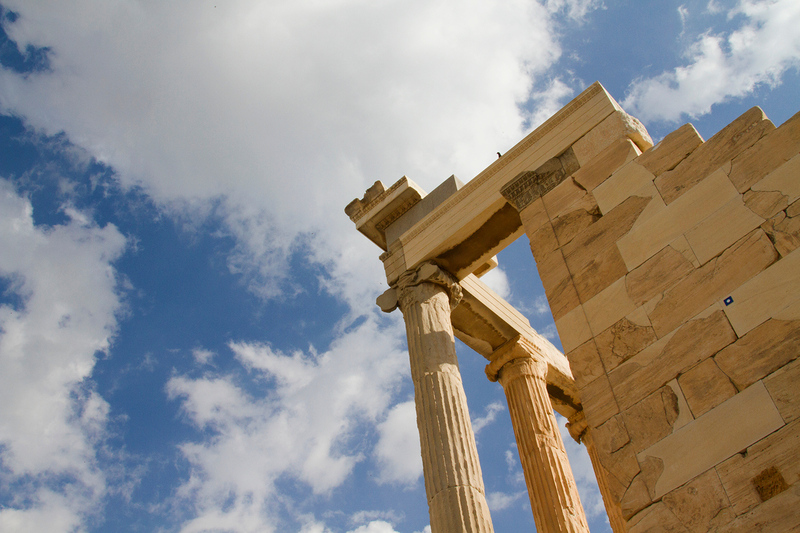 There is so much more to Athens, as you’ve pointed out here! Thanks for getting the word out about Athens! Thanks Alyse! It is somewhere I always wanted to go to and it felt… I dunno, REALER than other parts of the country. I think the right neighbourhood would definitely help.